NauSYS™ is one of the most advanced solutions for booking and managing real-time web-based charters. Today it gathers the main fleets of European charter companies, and after years of development and market testing, NauSYS has established itself as one of our best partners for the identification and verification of boats used in our fleets. Leader in the real-time search of yachts in the world today is the system most widely used by BeBlue. It has been specially developed taking into account the sales prospects, in order to meet every possible daily need of a fleet operator or charter agency. 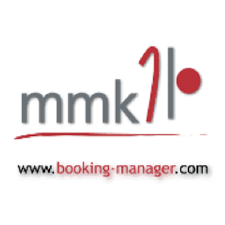 Booking Manager is the most advanced and time-rooted online booking and search solution for yacht charter companies. It offers several software modules suitable for fully automating yacht charter activities. Under the watchful eye of our operators today becomes an almost foolproof system. With years of experience in the nautical sector, and acquiring valuable information on the daily practices of charter agencies, BoatBooker ensures excellent traceability of operations and supplier-customer relationships. Through this system BeBlue offers access to carefully selected local partners and shipowners. 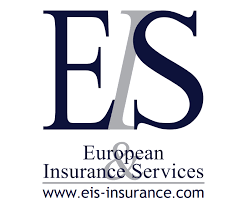 EIS has forty years of experience in the nautical insurance industry, ranging from small rowing boats to large maxy yachts and jet skis. Comprehensive, transparent and detailed insurance coverage for your charter or your holiday, all over the world and with a quote system that is quick and easy to activate. Harken is a company that can provide everything you need for the deck equipment of a sailing boat to become one of the few international groups in the world sailing industry. Harken is present with its products all over the world through one of the most extensive sales and service networks in the sailing market. By combining BeBlue's technical knowledge and skills with Harken's experts, we can guarantee the ideal solution for the deck equipment of any boat. Lagoon is a brand dedicated to life and freedom, born from a dream that combines travel and comfort in large volumes. So it was only natural to use the shipyard's world-renowned know-how to develop magnificent boats for your holidays, For those who dream of 'a truly unique catamaran, even more luxurious and specially built with comfort in mind, Lagoon is a safety. Boreal Yachting offers adventurous trips based on a combination of marine and land-based activities in northern Norway. Our partner has a fleet of 13 modern sailing yachts equipped and accessible to ensure comfort and unforgettable experiences throughout the year. Beblue cooperates with Boreal Yachting with the islands of Lofoten, Lyngen, North Cape and Svalbard. "Armare" means "providing a ship as much as you need to sail" or even "equipping a sailing ship". So it is precisely in the meaning of the company name that we find the most extensive vision of what the company can offer its customers today. Thanks to the close collaboration between BeBlue and Armare we can supply ropes and technical equipment from drifting to maxi yacht. Phi!Number's consulting, training and service activities allow athletes, shipowners and technicians to benefit from professionals in the fields of specific expertise. A single mission for Phi!Number: to optimize the aspects of competitive projects with the aim of achieving maximum potential and performance. Like us, true professionals of the sea. 10,000 products in the catalogue to supply the galley for your holidays. Worldwide, with free delivery, for orders over 100 euros. Carefully selected food products and purchased only from suppliers and provenance. The partnership with BeBlue allows you to receive your shopping directly on board, making you gain time and precious relaxation in view of the cruise. 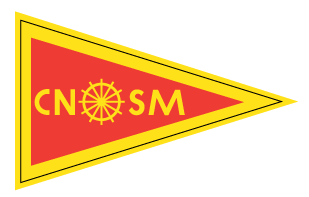 Since its foundation, the CNSM has brought together lovers of the sea and water sports, promoting and disseminating the values related to the sea, sport, socialization and competitive competition. It is considered one of the most active sailing clubs in the Adriatic. The courses are aimed at children aged 6 years and over and adults, and take place from June to September. The ideal partner to train tomorrow's sailors from the ground up! RoamFree Ninja is the most efficient mobile internet solution for travelers in Croatia. It is a pocket-sized mobile device - a personal WiFi hotspot that allows you and your friends (it supports 10 to 14 devices, depending on 3G/4G) to connect to the Internet at speeds above 3G anywhere in Croatia where major networks have coverage, and surf the Internet as at home at no additional cost. With this partnership, BeBlue allows its customers to serve a stable internet network for every kind of need. The most important thing for Sea-Help is the assistance to its subscribers, in case of assistance at sea, will be a professional to provide the service. The SeaHelp subscriber will have no legal uncertainties. This provides a full service in the Adriatic Sea from Lignano to Dubrovnik, in the Balearic Islands and on the Costa Brava, in the Netherlands and in baganta Germany from the Baltic Sea including South Denmark. With Touch and Lunch, on board a BeBlue boat, you can receive your food through a fast, intelligent and convenient delivery service. Touch and Lunch takes care of our customers, knowing every detail about local food and drink, providing the best products tested by a team of professional chefs. Touch and Lunch allows you to enjoy an extra day of relaxation, waiting on board for your shopping. Artisans of Food allows you to enjoy food and drink created from the most delicious products, with origin and ingredients of the highest quality. At BeBlue, with Artisans of Food we have managed to put together an incredible selection of food and drink, made by people who work with passion and ensure that their products are of the highest quality. Euminia is a classification system for charter yachts that provides reliable information about boats. In addition to customer reviews, Euminia provides information on the facilities and services of a base. Thanks to their data, we at BeBlue can offer you the most suitable package for you, while maintaining high standards. 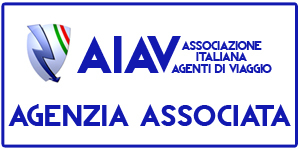 AIAV is the Italian association of travel agents, spread throughout our territory with more than 1600 agencies and 12 regional delegations. AIAV is the representative of all Italian travel agencies and we at BeBlue also trust them. In addition, it manages the quality brand of the AdVs in our territory.